Book Launch for "Courageous and Free"
Come along to the official book launch. Ralph Fegan, President of the Wanaka RSA will introduce the book, copies of which will be available at $20 each. 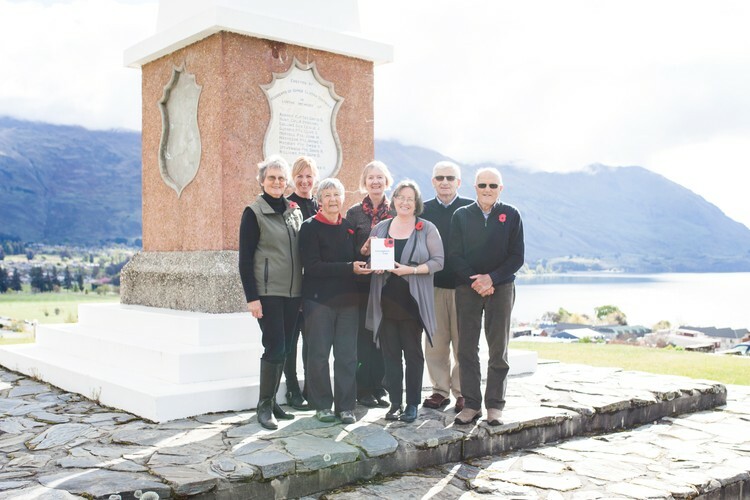 “Courageous and Free” - "Stories of our Upper Clutha WW1 soldiers and one nurse and the sacrifices they made so we could live free" is the result of two years research by five members of the Upper Clutha Historical Records Society and Wanaka Genealogical Group. It not only relates the stories behind the names listed on Upper Clutha War Memorials but also uncovers the names and stories of many other soldiers not previously recorded. In some cases living family members were able to be traced, which resulted in the most wonderful resources of last letters and postcards home, photographs, family stories and wills. It is anticipated the information uncovered will be of interest to families, local historians and anyone who has an interest in history within the Upper Clutha District. Furthermore, the book will provide a significant historical resource for libraries, schools, RSA’s and other interested groups. Funding assistance was obtained from the Graham and Olive West Charitable Trust (research), and the Hawea Dip Charitable Trust, Otago Community Trust, and Lottery Grants Board (publishing).